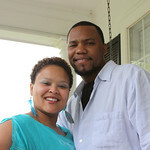 WE ARE MONTREL & VAKISHA, AND SCOTTSHOTS PHOTOGRAPHY WOULD LIKE TO THANK YOU FOR VISITING OUR SITE. PLEASE STAY TUNED FOR UPDATED PICS AND MARKETING INFORMATION. THE PAGE IS STILL A WORK IN PROGRESS FOR US--SO THANKS FOR YOUR UNDERSTANDING, AS WELL AS, YOUR CONTINUED SUPPORT! We are artist and love every aspect of "Making Memories Matters" for you.